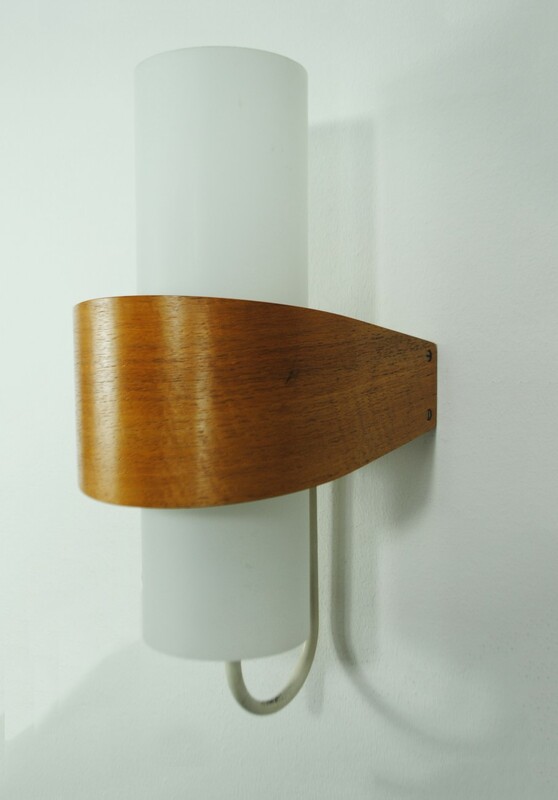 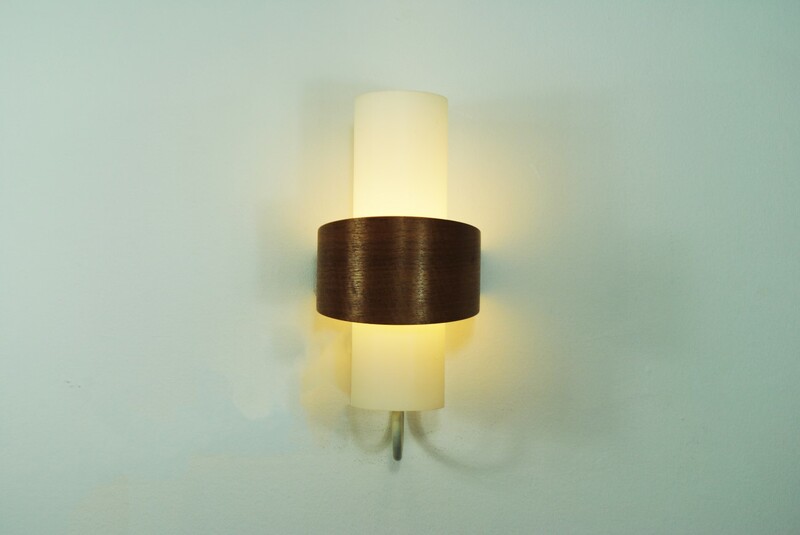 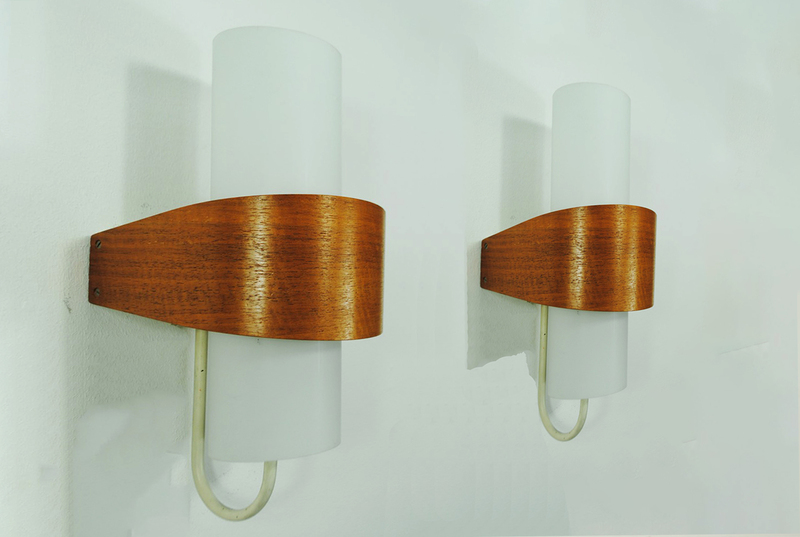 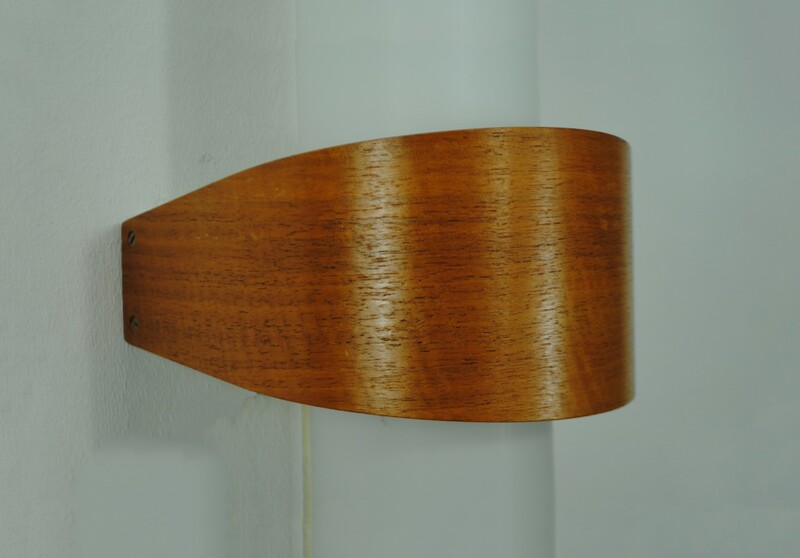 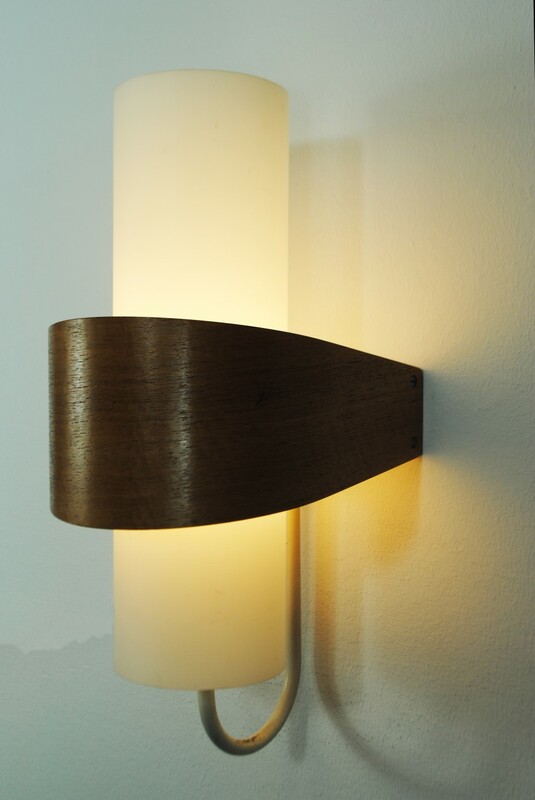 Set of wall lamps designed by Louis Christiaan Kalff in the 1960s and produced by Philips (Holland). 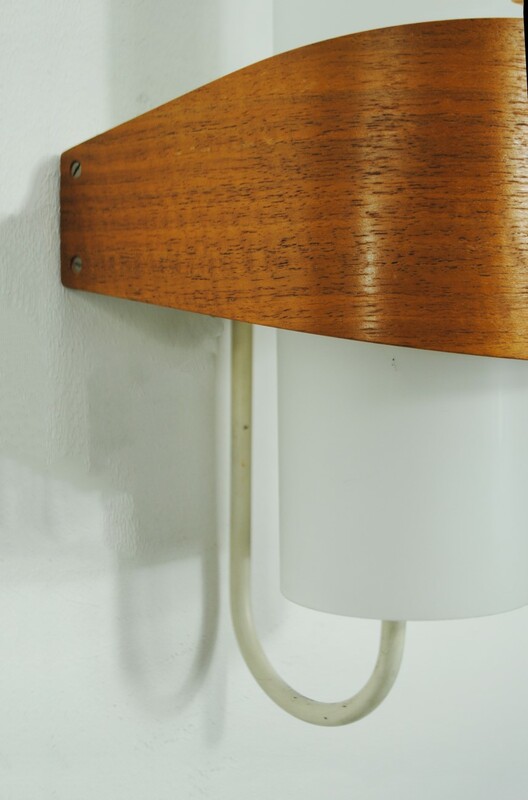 Plywood cover with a milk glass shade over a metal frame. 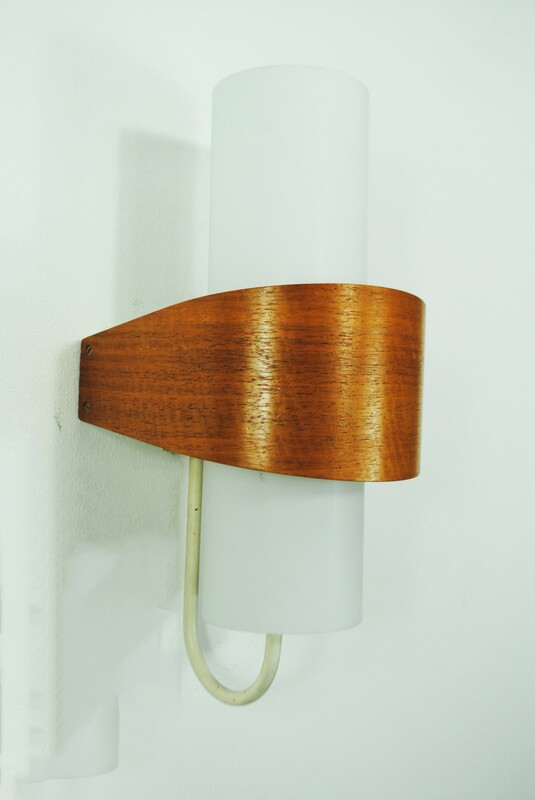 In very good condition with minimal traces of usage. 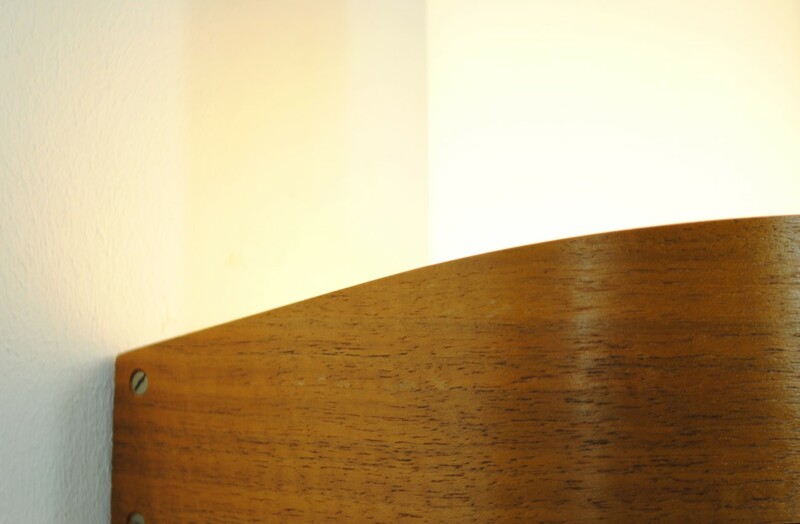 Only sold as set.